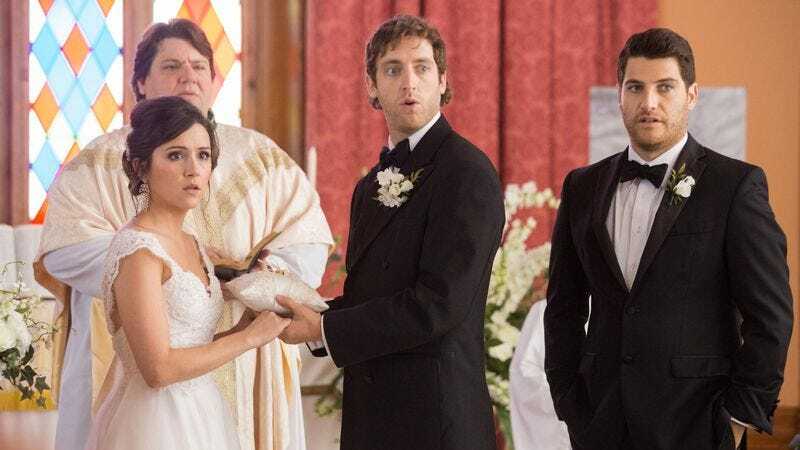 In Search Party, the central trio of dudes (Thomas Middleditch, T.J. Miller, and Adam Pally) will do anything for a laugh. Nearly lose their vital parts to organ thieves? The dudes abide. Run around Mexican backstreets completely naked? The dudes abide. Of course, Search Party is just the latest in a long line of comedies wringing laughs out of bromance in peril, following in the footsteps of recent hits, like Neighbors and Ted, and cult classics, like Animal House and The Big Lebowski. In honor of Search Party’s Blu-ray/DVD release this week, The A.V. Club is giving away a special movie prize package, featuring all five of these movies. We’ve got our hands on five movie bundles, which include: Blu-ray copies of Search Party, Neighbors, Animal House, and Ted, plus a DVD copy of The Big Lebowski. For your chance to win, simply send an email to avcontests@theonion.com with the subject line “The Dude Abides.” Be sure to include your name and mailing address in the body of the email. U.S. entrants only. On Tuesday, July 12, we’ll select five random winners from our eligible entires and notify them via email shortly thereafter. You can watch an official trailer for Search Party below.